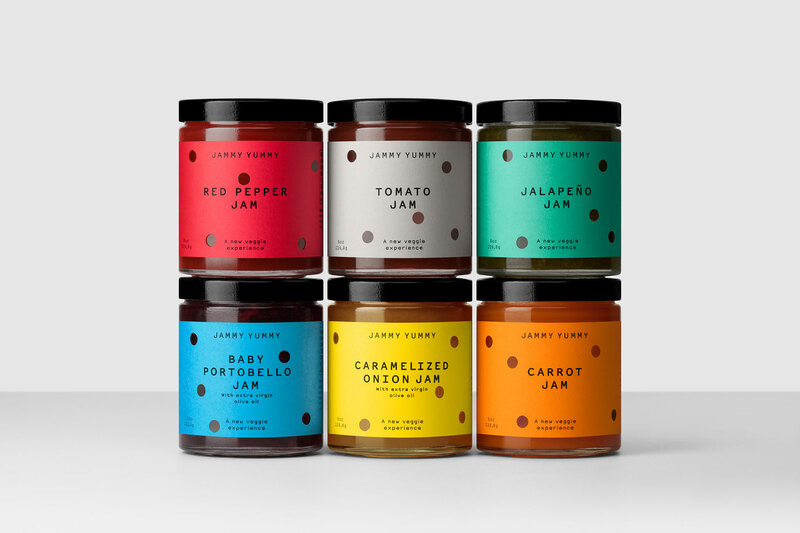 Based in Miami, their hand-made range of savoury vegetable jams is fun food and snacks made for sharing. 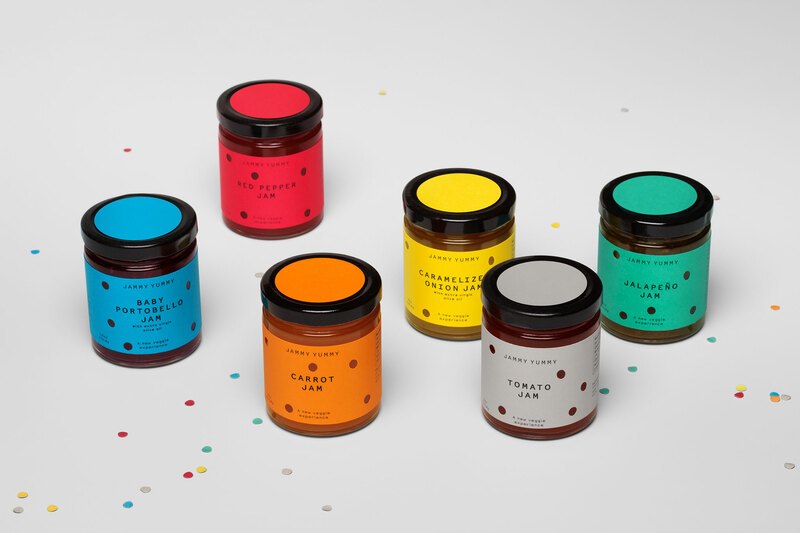 Hey created Jammy Yummy’s brand identity and package based on this idea of partying. 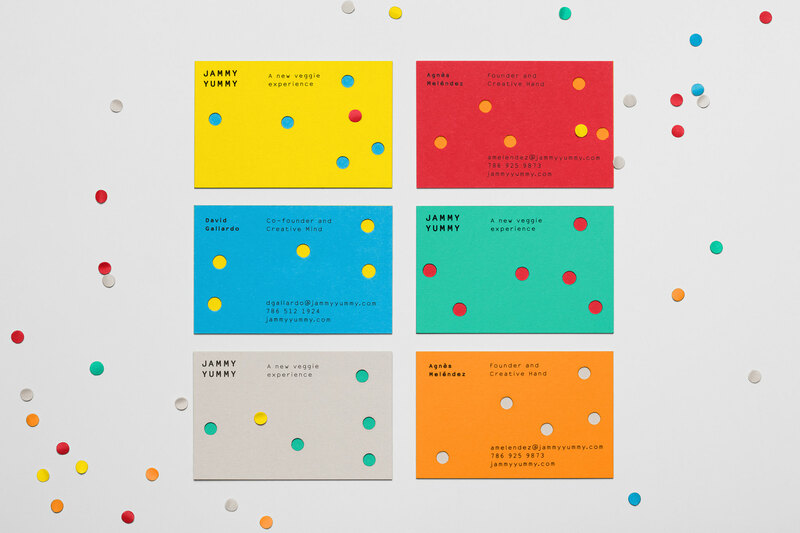 The labels are a set of random die-cut perforations where the holes suggest the constant nibbling that the food provokes.